A quick and healthy recipe for the week-end? This is for when you are not feeling up to much and looking at the left-overs in the fridge without much inspiration… Been there? Me too… But a nice easy little dish would cheer you up, and this is it. This will make a dozen croquettes. This is a nice dish to use up left overs of any fish you have been enjoying that week. I make it with trout when it is in season and my other half has stuffed the freezer full of his catch! I might bake a trout with almonds and then use the flesh to make this the next day. Blend the trout fillets with the tofu and seasoning in a food processor. Add the eggs and mix. You will have a mix like a dough or a bit firmer. Then shape some egg-sized balls in oiled hands and roll them in rice flour before frying them in a bit of sunflower oil. Turn them around to have it nicely brown all around. Enjoy with a side salad. Crush the garlic and stir in the tahini. In a blender, add the tofu, lemon juice and the tahini mixture. Then drizzle in the oil and soy sauce. Add water in if it feels too thick and stir in the chopped spring onion and the salt and paprika. Re-ajust with more lemon juice or oil if needed. The mix must be creamy and of a pale buff colour like a really nicely set mayonnaise. 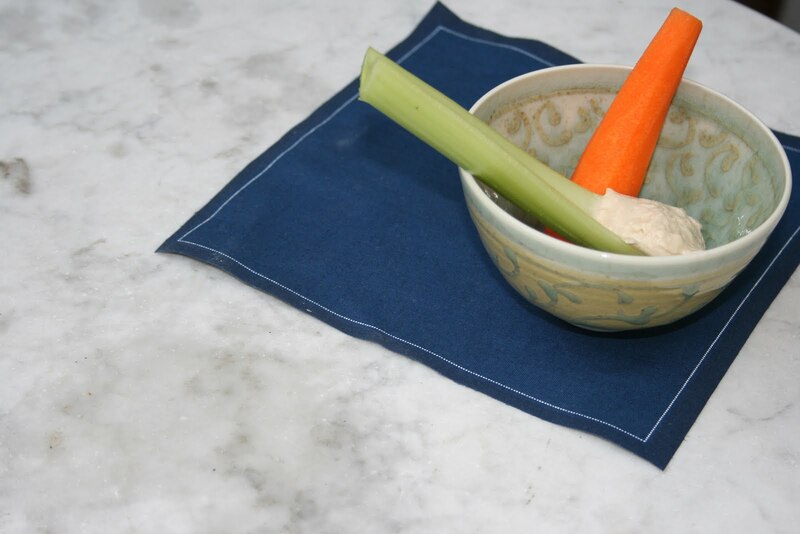 Serve with lots of vegetable sticks (carrots, cucumber, celery) or some vegetable crisps. Enjoy immoderately! If more moderate, you can keep it in the refrigerator in a screw-top jar for a fortnight. Nutrition notes: A lighter dip, full of good quality protein and low fat. You can up the content in healthy Omegas by using a bit of linseed oil or whizzing a cup to linseed into the mix. Good for your colon and easy on your arteries – who would want mayonnaise instead?! Recipe adapted from “Food combining for weight loss and health” by Gilly Love and Patrizia Diemling. This is a simple dish full of the tastes and colours of summer, for when you only have 20 minutes in the kitchen. Lay several sheets of Filo into a pie dish. I use about 5 or 6 of them and overlap each layer. Brush with a bit of olive oil. 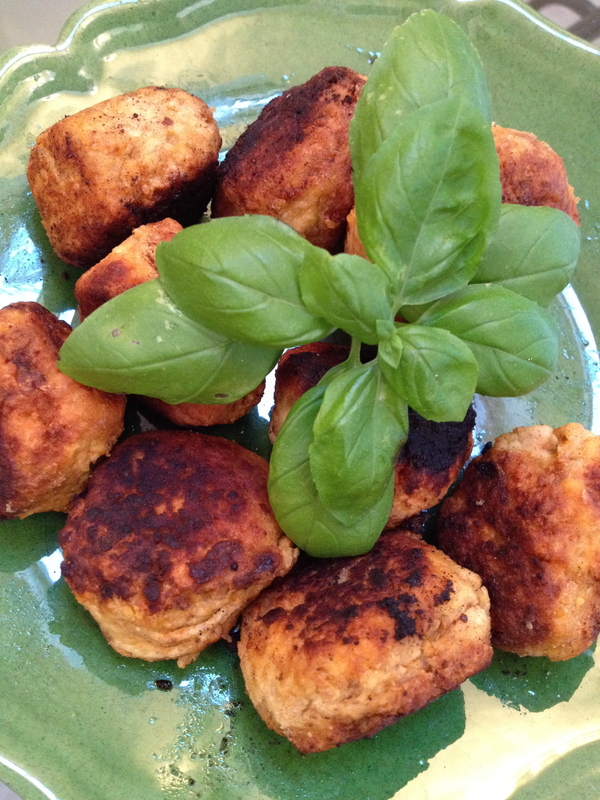 Mix the tofu and 1/2 a tub of ricotta or 125 g. Blend in one egg, a small glass of Passata or crushed tomatoes. Season with a pinch of salt and pepper. Pour the mix inside the pie and arrange the halved cherry tomatoes on top. 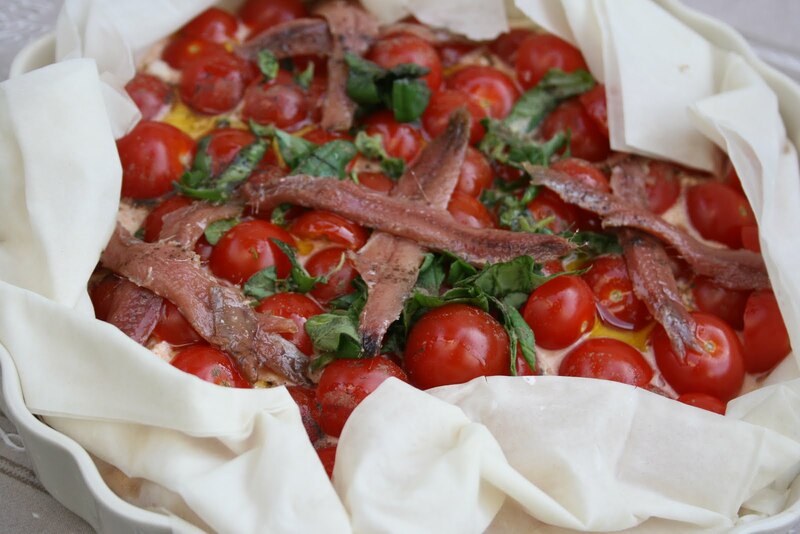 Decorate with a generous amount of cured anchovies. Add some basil, coriander and a few sun-dried tomatoes if you have them. Fold the sheets edges back onto the pie and sprinkle with a small spoonful of olive oil before putting in a hot oven (250°C) about 20 min. A low fat dish full of good quality protein (in the tofu) and vitamins, it is perfect if you are watching your waistline pre-bikini season and the taste is VERY indulgent! I love using filo instead of more robust pastry in my pies because you get the taste without the calories and it looks dainty and festive on the table.